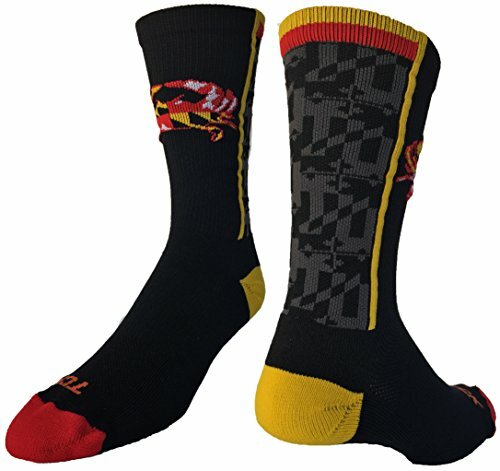 Maryland Flag with Crab Crew Socks. High performance athletic socks for all team sports and elite athletes. Shoe Size: Small - Youth 12-5 Womens 4-7, Medium - Womens 7-10 Mens 6-9, Large - Womens 10-13 Mens 9-12, X-Large Womens 13+ Mens 12+. 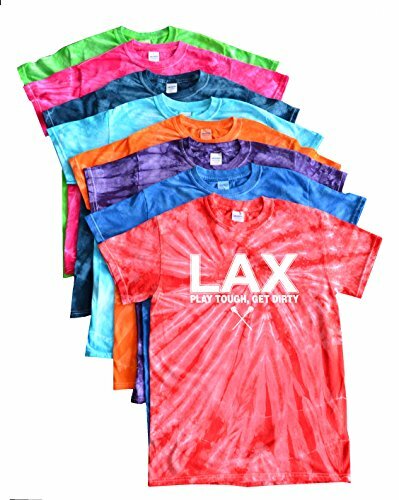 This bright tie dye t-shirt is perfect for on and off the field. 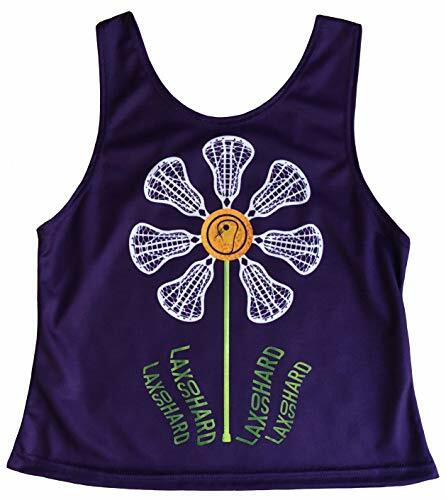 Show how much you love lacrosse even when you aren't in your uniform! Each Additional JANT girl item only costs $1 more for shipping! 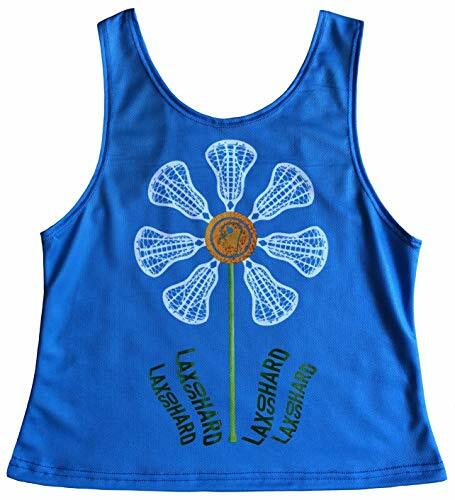 This Distressed lacrosse short provides a stylish look with a relaxed fit. This all-purpose short is built for comfort with a soft, vintage feel and a laidback feminine style. Prints are on the front and back of shirt. Made of 100% preshrunk cotton. 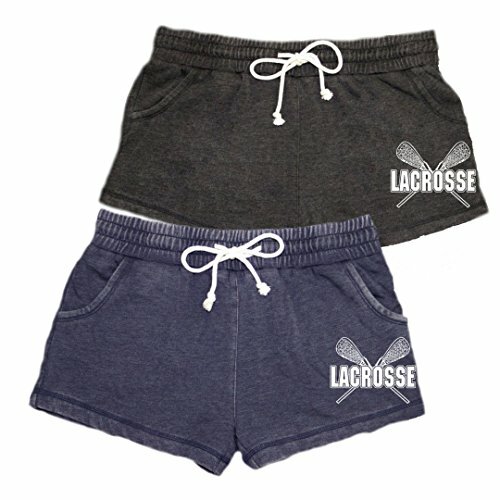 Super comfy Lacrosse themed pocketed flannel lounge pants with Cotton tie cord. 100% Cotton, Expect Shrinkage. Lightweight Charged Cotton fleece delivers superior comfort without sacrificing performance. Soft, brushed interior traps heat to keep you warm without the bulk. Signature Moisture Transport System wicks sweat so it dries faster than ordinary cotton. Lined 2-piece hood with crossover neck for enhanced comfort. Classic kangaroo pocket. Screen printed UNDER ARMOUR front graphic. Cotton/Polyester. Imported. 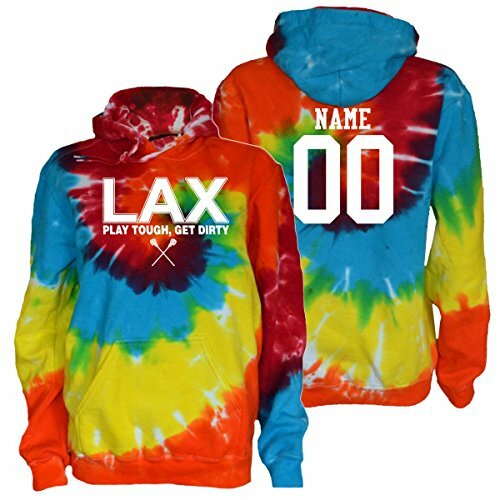 This customizable bright tie dye hoody is sure to be your favorite. 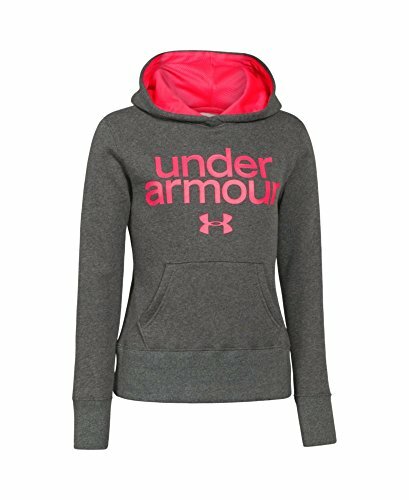 This comfy, cozy sweatshirt is the perfect gift for any athlete! Adult sizes have drawstrings, youth sizes do not. We are deeply passionate and committed to providing unique and thoughtful products and offering the utmost quality and customer service in the business. We have a full line of apparel and accessories some of which are customizable. Proudly designed in the USA for comfort, support, and performance. 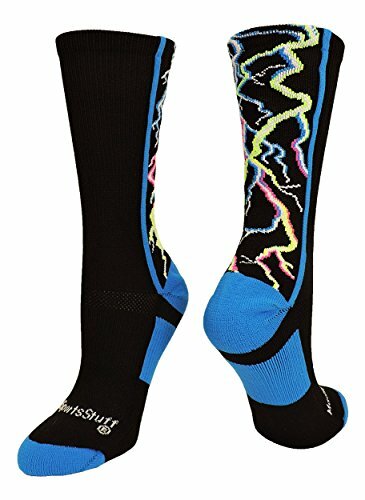 HIGH QUALITY, PERFORMANCE SOCKS! These half cushioned socks feature added Nylon for increased durability that deliver a secure fit every time you put them on. 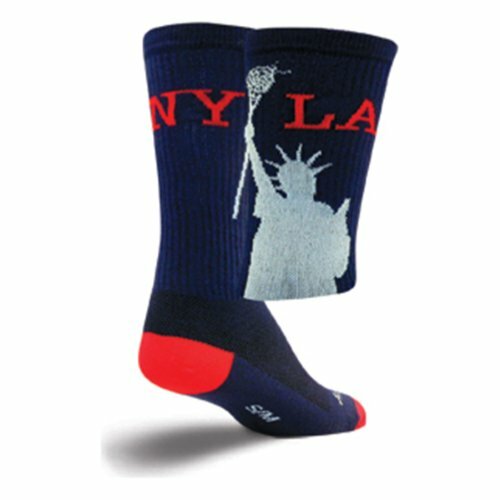 Our lacrosse athletic socks serve as a perfect compliment to your sports sneakers, cleats or shoes! 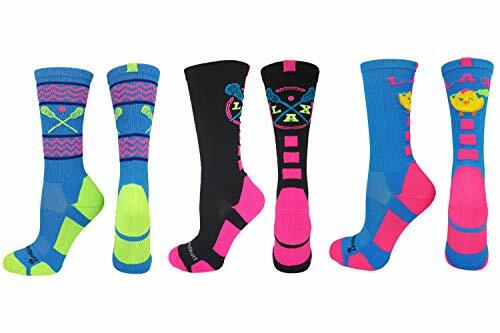 The arch compression pads the contours of your feet while providing a comfortable fit and keeping socks in place while living your active lifestyle! KEEP YOUR FEET DRY AND COMFORTABLE! 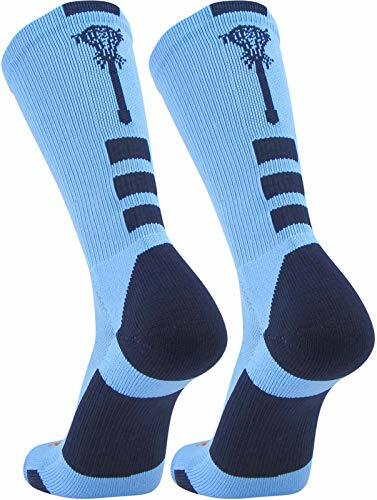 Featuring our ultra-spun knit moisture wicking technology, our lacrosse athletic socks keep your feet dry and comfortable during practice, the game, at the gym or lounging around the house! Prevents odor causing bacteria in the sock. 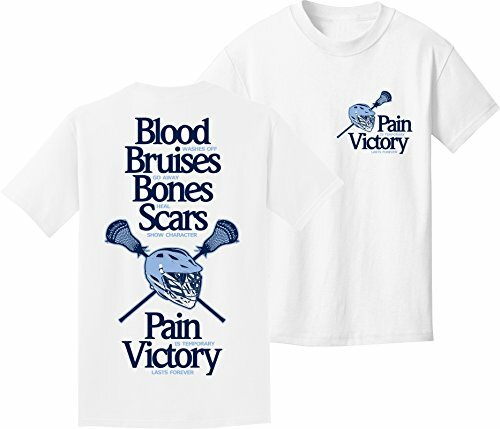 Perfect for all lacrosse players, fans and coaches! 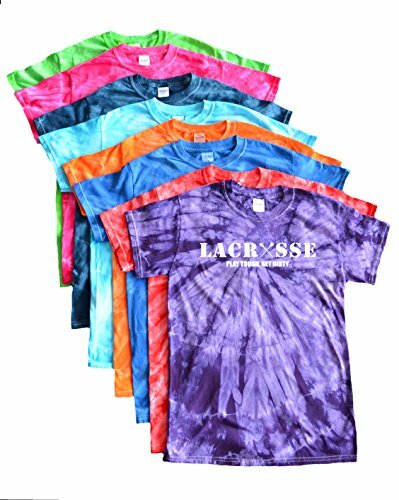 Buy a pair for yourself or as a gift guaranteed to make the lacrosse fan in your life smile! LACROSSE, IT'S A LIFESTYLE! 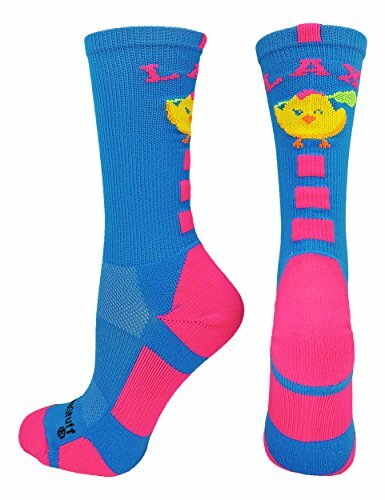 Lax girls love our girls lacrosse socks! 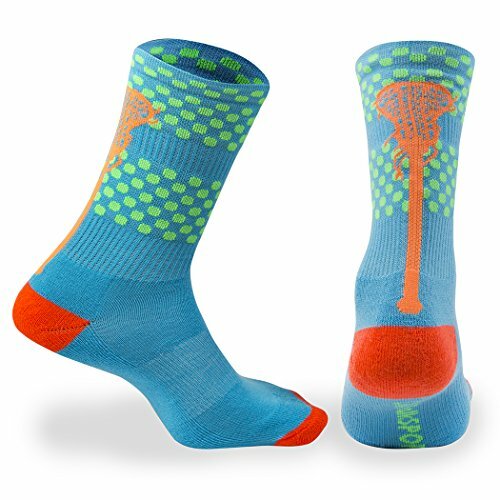 Be the center of attention on and off the field with these bold, colorful and fun lacrosse socks! Socks featured are blue, green and orange. SIZING: We recommend these socks for Women's Shoe Size 4-8. One pair per package. Model is a size 6.